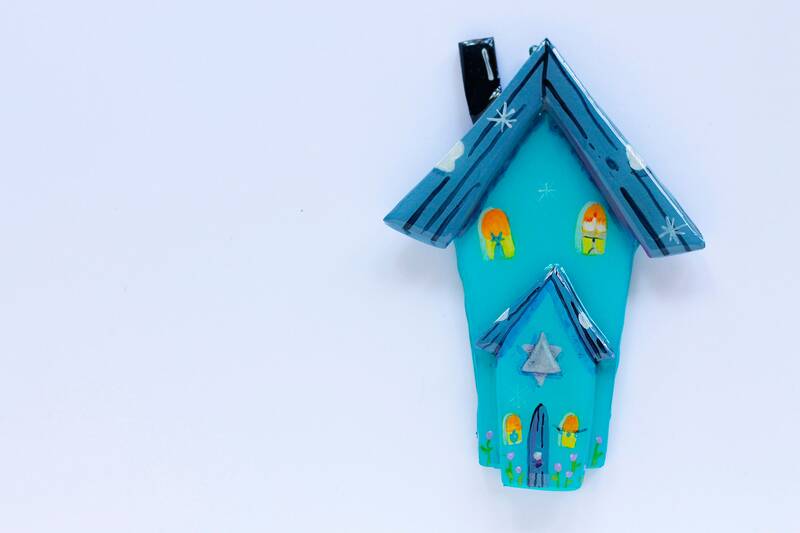 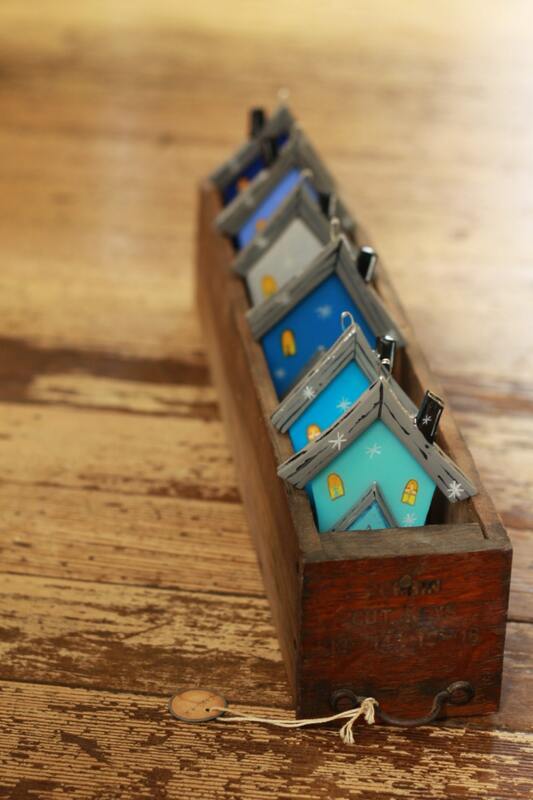 This listing is for one 2.5" x 4.5" x 1/4" Hanukkah House Ornament. 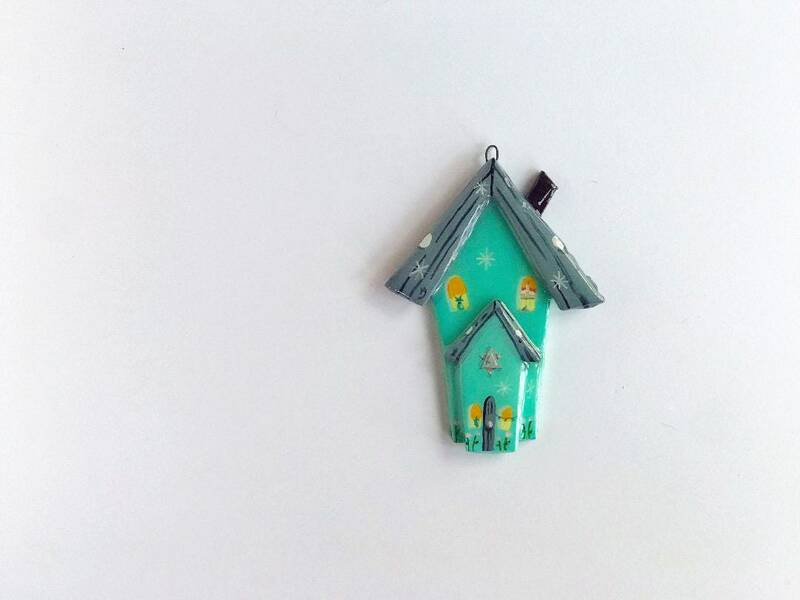 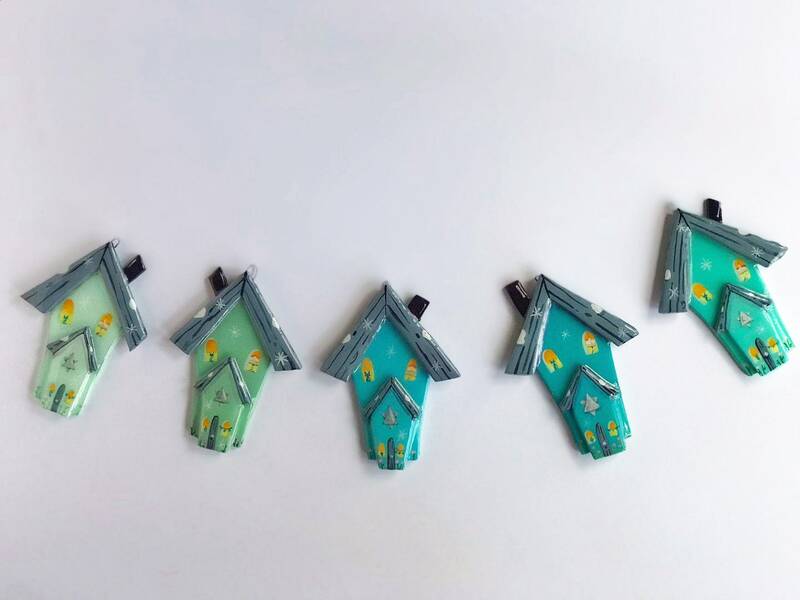 A lovely shade of turquoise green with a silver Star of David, melting snow on the eaves, kitty in the windows, snowflakes and made by me, Valerie Walsh. 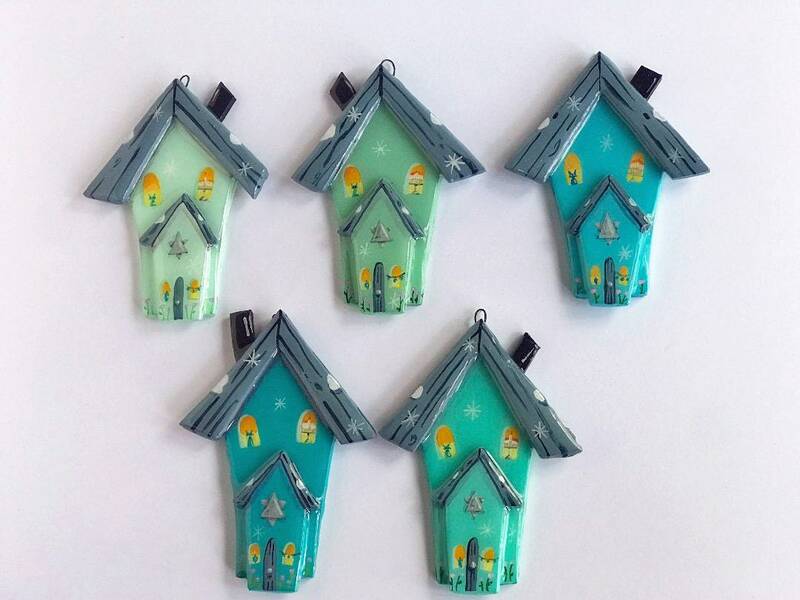 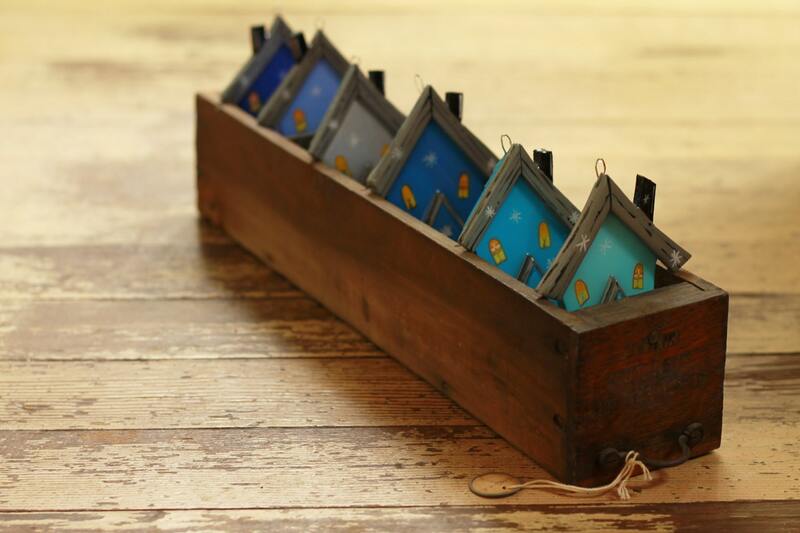 This decoration has a lovely coat of resin to protect the paint and a wire hanger with a matching ribbon.